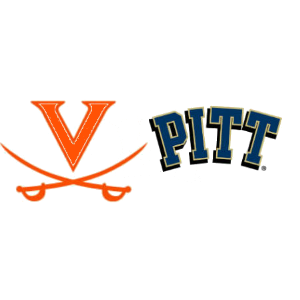 There will be an impact on Friday, Nov. 2 to the hours parking lots in the vicinity of Scott Stadium are available for both UVA faculty and staff and football fans due to the home football game against Pitt that evening. Kickoff for the game is scheduled for 7:30 p.m. In most University lots, employees will be asked to remove their cars by 4 p.m. Friday. By 5:30 p.m., traditional game-day parking options will be available for fans. Due to road closures for the game, University bus service will be modified. Classes will be held as scheduled Friday, and patient care in the UVA Health System will not be interrupted. The University of Virginia’s Parking and Transportation department has created a unique website for the game to provide information specific to all University parking permit holders, for the University Transit Service and to note road closures. That information is available at: https://parking.virginia.edu/friday-night-lights. Reserved and first-come, first-served parking options for football attendees will not open until 5:30 p.m. VAF permit parking will also open at 5:30 p.m.
Police and public safety officers will implement the game day traffic management plan and restrict traffic on streets in the vicinity of Scott Stadium beginning at 5:30 p.m.
With heavy congestion on Emmet Street/US 29, Ivy Road, University Avenue and the area of Jefferson Park Avenue/Fontaine Avenue, local drivers are urged to use alternative routes where possible.